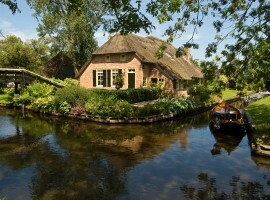 Giethoorn is also called the Venice of the North and it is a truly magical and unique village in the world. We are in the Netherlands, 120 kilometers from Amsterdam, but it seems to be in a fairy tale world. Here, in the middle of the Natural Park Weerribben-Wieden, there are no roads. The houses of the 2,600 inhabitants are connected by small rivers, a bike path and 176 bridges. Born to hide its inhabitants from the religious persecutions of the twelfth century, now Giethoorn has become a popular tourist destination where you can spend a very special holiday, in a bucolic unmatched atmosphere. 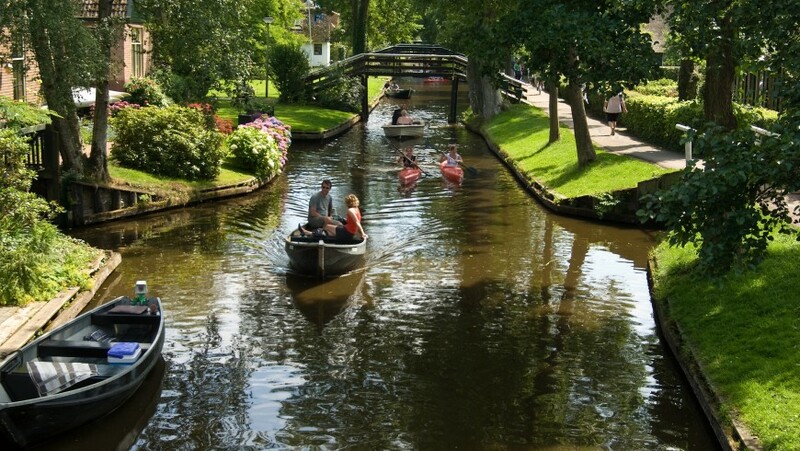 Immerse yourself in the silence of nature, move on foot or in the typical boats and live a unique experience in Giethoorn, among its streets of water. 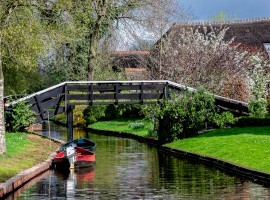 This entry was posted in curiosity and tagged Giethoorn, Netherlands. Bookmark the permalink.